What is the difference between full tort and limited tort car insurance? Full tort coverage and limited tort coverage are car insurance options that impact how much an injured party can recover in a car accident case. Limited tort is not available in all states, but it is an option in some. It is an option that must be exercised at the time auto insurance is purchased and not at the time a crash occurs. People with full tort car insurance can pursue full damages from a negligent driver or an insurance company after a crash. This includes damages for lost wages and pain and suffering. While injured parties must still prove the value of these damages, the amount they can recover is not limited by their insurance contract. People who instead choose to purchase limited tort insurance pay less in insurance premiums than people with full tort coverage, but they are also paying for less insurance. If a person with limited tort insurance is hurt in a crash, that person may only recover pain and suffering damages if his injury hits a certain threshold and is classified as a serious injury. Auto insurance policies contain a lot of technical language that can impact your recovery of damages after a crash. If you have been hurt in an accident, the best way to ensure that your right to a fair recovery is protected is to contact an experienced Fairfax car accident lawyer. Our attorneys are here to help you. We would be pleased to offer you a free, no-obligation consultation, so you can learn more about your rights and potential compensation. Please call us, or reach out to us today via this website to learn more. Have red light cameras reduced the number of car accidents at intersections? The answer is yes. According to study commissioned by the Insurance Institute for Highway Safety (IIHS), red light cameras have reduced fatal intersection accidents by 21%, and red light cameras have reduced all intersection accidents by 14%. In 2007, the Virginia General Assembly approved the use of red light cameras at Virginia intersections, and in 2009, Virginia Beach became the first city in the commonwealth to use this technology. Over the past decade, the use of red light cameras has expanded to other Virginia towns and cities. 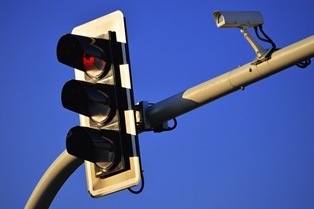 Red light cameras are attached to traffic signals and sensors. If a vehicle enters an intersection after the light turns red and the mandatory grace period of at least one half a second has passed, a series of pictures or a video may be taken by the camera. This information is then reviewed by law enforcement officials. If a police officer determines that the driver of the vehicle violated the law by running a red light, a ticket will be mailed to the owner of the vehicle, if appropriate. 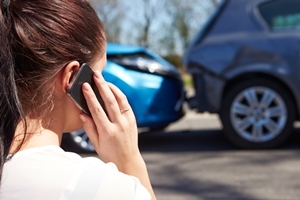 If you’ve been hurt in a Virginia intersection crash, it is important to contact an experienced car accident lawyer for help. Your attorney will consider all of the evidence related to the accident, including any footage from a red light camera, and advise you of your rights and potential recovery. To learn more, please contact us today via this website or by phone to schedule your free, no-obligation initial consultation. Do I need a lawyer if my injuries were caused by a driver who ran a red light? How does Google Maps know when there’s heavy traffic or a car accident? Technology has certainly changed since Google Maps debuted on February 8, 2005. Today, Google obtains some of its information about traffic and car accidents from people who don’t know they’re providing it and from others who want to share it. Crowdsourcing. People are encouraged to report traffic conditions through Waze, and that information is included in the traffic condition data reported back by Google Maps. Local highway authorities. Local highway authorities may have road sensors or cameras and may share that information with Google. Information from your phone you may not know you’re sending. 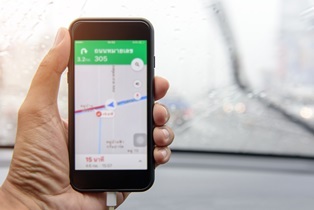 If you have location services turned on in your phone settings, you may be transferring information about traffic conditions to Google without even knowing it. Google analyzes how fast you are moving while the Google Maps app is open and uses that as part of its traffic condition analysis. Google Maps provides many benefits to users who are traveling to a new location or who are stuck in traffic. The app may tell them how to bypass traffic, which lane to be in to ensure getting off at the right exit, and the length of time for certain slow-down points. Google Maps may be a helpful tool for you and other drivers, but as with any map or GPS, it’s important to not become distracted when using it and to keep your eyes first on the road. If you have been in a car accident, please contact Kearney, Freeman, Fogarty & Joshi today by sending us a message or calling 877.652.1553. How are future medical costs calculated after a car crash? If your car accident injury will require medical treatment that extends after your accident case resolves, you need to include the costs of future medical treatment in your settlement (or court verdict). Otherwise, you will bear all of the financial responsibility for your future medical costs. An accurate diagnosis and treatment plan. This should include all of your accident injury reports and all of the medical care you are likely to need. An expert witness. This type of witness can testify as to what your future medical needs are likely to be and what they may cost in the future. These witnesses can include doctors and healthcare economists. An experienced attorney. You need to hire an attorney who can analyze the financial data and make convincing arguments to the insurance company or to the court about future medical costs, so you are awarded fair compensation for your injuries. Once you accept a settlement or your case is decided in court, your case will be over. You will not be able to seek additional damages from the defendant in the future. 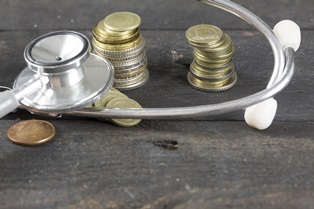 Accordingly, you need to properly value your future medical costs while your case is pending. This includes damages for all of your future doctor visits, hospitalizations, surgeries, medications, rehabilitation therapies, and other medical costs related to your car accident injuries. To learn more about your potential recovery for future medical expenses, please contact us today to schedule your initial consultation with an experienced car accident lawyer. Do I need an attorney if my injuries were caused by a driver who ran a red light? Yes. It may appear that the other driver was at fault for the accident and for your resulting injuries. However, car accident liability is not always clear, and car accident damages can be complicated. Gathering evidence to establish liability. You may know that the other car ran the red light, but that is not enough to convince the insurance company or the court to provide you with fair compensation. Instead, you need evidence that proves liability. Being prepared if you are accused of being at fault. 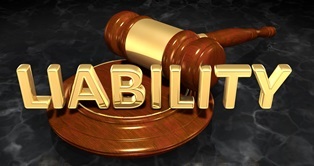 In Virginia, you may be unable to recover damages if you bear any responsibility for the accident. For example, if you were distracted at the time of the crash and are found to be partially at fault, you will be unable to recover damages even if the other driver ran a red light. Establishing the value of your damages. The other driver may be clearly at fault for the crash, but his lawyers may dispute how badly you were injured in the crash and the value of your damages. An experienced lawyer can review your medical records and gather the required evidence to prove how badly you were hurt and what you should recover for past, current, and future medical expenses, lost income, out-of-pocket costs, and pain and suffering. Not only can your attorney help maximize your damages, he will deal with insurance adjusters, file court papers, and negotiate your settlement while you concentrate on your physical recovery and moving forward with your life. We would be pleased to provide you with a free, no-obligation consultation if you have been hurt in a crash caused by a driver who ran a red light. Please call us, or contact us via this website today to learn more. 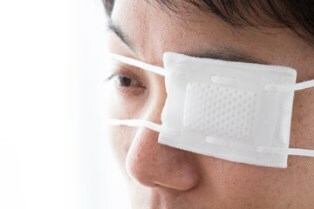 What type of eye injury could I suffer in a car accident? The trauma of a car crash can result in a serious eye injury. As with any type of car accident injury, you will need to prove what injury you suffered, why it happened, and who is legally responsible for it in order to recover damages. Lacerations. If the crash causes an object to scratch or punctures your eye, your vision may be impacted. Orbital fractures. Broken bones around your eye could impact your vision. Corneal abrasions. A scratch or abrasion of the cornea could impact your vision. Retinal detachments or tears. The force of the car crash can cause this serious type of eye injury. Chemical burn. If the powder from the airbag enters your eye, your vision could be affected by a chemical burn. Traumatic brain injury. Your vision may be impacted if certain areas of the brain are hurt. Once the cause of a crash and the responsible parties are identified, you may decide to take legal action to recover damages for your eye injury. Through a settlement or court case, you may be able to recover compensation for your medical expenses, lost income, out of pocket costs, pain, suffering, and other damages. Let us help you get the fair recovery you deserve if your vision has been damaged or lost after an accident. Contact us today to schedule a free, no-obligation consultation with an experienced car accident lawyer at your convenience. What should I do after an accident with a hit-and-run driver? If you’re involved in a car accident in Virginia, the law requires that you stop and give contact information to the other person involved. However, not all drivers follow the rules and stay at the scene. If you’re involved in a crash, and the at-fault driver leaves the scene of the accident, it’s important you know your next steps. 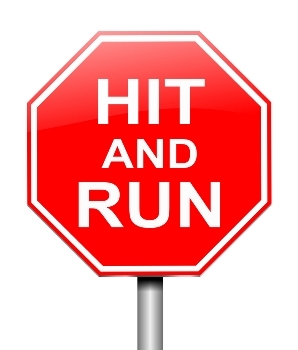 In general, a hit-and-run occurs when someone is involved in a car accident—whether it’s with another car, a pedestrian, or a fixed object—and then that person leaves the scene without giving aid to an injured party or identifying himself. In some states, a hit-and-run can include an accident with an animal. Get information. After the accident occurs, do your best to make mental notes about the model of the other vehicle, the color, any unique dents or stickers, the license plate number, the appearance of the driver, and the direction the fleeing vehicle was headed. Then, write it all down on paper while it’s fresh in your memory. Additionally, speak with any witnesses to the accident, and record their contact information. Document your damages. As soon as you’ve moved your vehicle out of harm’s way, document the damage done to your vehicle by taking photos of it. Additionally, write down your version of what happened and the order of events as they occurred. Call law enforcement. It’s important to inform the police that another driver left the scene of the accident. An officer can take your statement and make an accident report, which will help you and your attorney after you’ve been able to identify the driver. Call your insurance company. Your insurance company should be aware of the hit-and-run accident. For this type of accident, it’s helpful to have uninsured/underinsured motorist (UM) coverage on your policy, so your insurance company can begin to help you get medical assistance and get you safely back on the road. If you or a loved one suffered injuries after a hit-and-run accident, you need the help of an attorney who can advocate for you. The team at Kearney, Freeman, Fogarty & Joshi can use the information you collected at the scene to build a strong case and help get you the compensation you need. Contact us today by starting a live online chat on our website today. What steps should I take if I'm involved in a car accident? What should I do if I’m injured in a rideshare car accident? 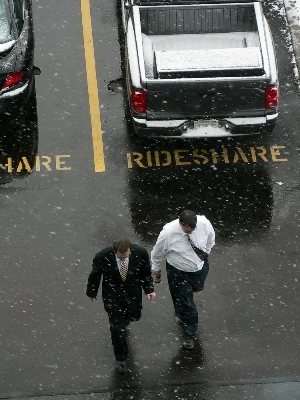 Ridesharing is a relatively new option for paid car travel. According to the Pew Research Center, 15 percent of American adults have used a ridesharing app to get to a location. However, since ridesharing apps like Uber and Lyft implement a different business model than a taxi service, you may wonder how to legally handle your injuries and damages if you’re involved in an accident with a rideshare driver. Uber. You can use the Uber app to set your pick-up and drop-off locations, view pictures and ratings of available drivers and their vehicles, choose your ride, travel, pay, and then rate your driver—all with a few taps on your phone screen. Additionally, you can apply to drive for Uber to take home extra earnings. Lyft. Similar to Uber, Lyft employs a smartphone app to let people find and guarantee a ride from a rated and pictured driver. Offering four different levels of vehicle, Lyft touts a simple “Request, Ride, Pay” model through the app. People use ridesharing apps for the same reasons others use taxis, including needing a ride after drinking too much or needing a ride home from the airport. However, ridesharing apps offer the opportunity to guarantee a ride (instead of trying to hail one from the sidewalk) in a well-rated car with a well-rated driver. Both Uber and Lyft use commercial insurance, much like taxi companies. The maximum liability coverage for each is $1 million, which is much higher than minimum requirements even in major cities of the U.S. such as New York City, Chicago, and Los Angeles. Although this may sound like enough coverage, what really matters is how an accident occurred. If your selected driver makes a mistake while on duty on the road and causes an accident, available insurance coverages for both Uber and Lyft have a liability limit of $1 million. If you were operating your own car, motorcycle, or bicycle—or perhaps just walking—and an on-duty Uber or Lyft driver hits your vehicle, the $1 million liability coverage will apply. However, if a rideshare driver injures you in an accident while off duty, he must rely on his personal liability coverages with his own insurance company. Since rideshare drivers are independent contractors, they are totally separate from the company when driving on their own time. If you’ve been injured in a rideshare car accident, the car accident attorneys of Kearney, Freeman, Fogarty & Joshi is available to walk you through your case and answer questions. We proudly serve Fairfax and all of Northern Virginia, as well as Washington, D.C. and Maryland. Please contact us by starting a live online chat on our website. Will posting details of my car accident to social media hurt my case? 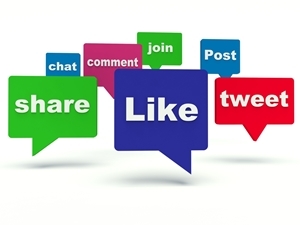 In the past decade alone, social media has changed the way people communicate. Most Americans use social media to stay in touch with family, politics, and the workforce. And it’s not just in big cities, where 64 percent of residents have accounts. According to the Pew Research Center, 50 percent of those in rural areas use social media, too. With sharing, liking, and commenting so common, it’s no surprise that insurance companies now use social media posts as a strategy to discredit car accident injury cases. If you’ve been injured in a car accident, it’s important to know how to use social media and how posting could eventually lower your compensation. Photos. After an accident, the insurance company may look for photos posted on social media that show you engaging in physical activity, out late for dancing or a drink, or even doing housework to cast doubt on your claim. Videos. As with photos, insurance companies want to find any reason to say that your injury isn’t as severe as you say. Videos are unique because they show an injury victim in action, and the events can be skewed to support an argument that you can actually walk just fine or that your neck doesn’t appear to be injured. Text posts. After an accident, you want people to know you and your passengers survived. However, turning to social media and updating your status is a bad idea. Insurance companies can use a text post such as “Was in a car accident—everyone is OK” to undercut the validity of your injuries. Check-ins. Again, insurers look for any evidence that you’re better than you say, so checking in to restaurants, a mini-golf course, a walking trail, or any other location is a bad idea. Activity history. Not only do insurance agents look at your activity on social media after the accident, they could also rummage through the past. There, an insurer might find evidence that you drink irresponsibly, use your phone while you drive, or engage in otherwise dangerous behavior. Don’t post at all. No photos. Not videos. No check-ins. If you can manage, don’t even log on to scroll through feeds. Ask friends and family not to post. Sometimes, friends and family members will tag you in their photos, status updates, or check-ins and hurt your injury claim. Change your privacy settings. Change your privacy settings to “private,” so only friends can view your profile and posts. If you get friend requests from the polite insurance adjustor you spoke with on the phone, deny it—and deny any requests you get from people you don’t know. Get extreme. The adage “better safe than sorry” applies here: consider deleting all your social media accounts if you can deal with doing so. Facebook, Twitter, and Instagram will always be there when you get back, and you can save important memories and photos to your computer. If you insist on posting, keep to the facts. Don’t let emotion interfere with your chances for a fair recovery. Don’t go on rants because you’re angry, and don’t mention your physical condition. 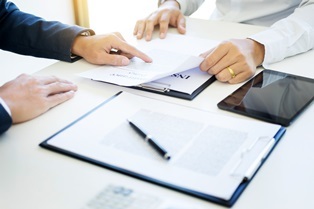 Finally, if you’ve reached a settlement agreement, remember to keep it confidential. Car accident injury claims can be complicated and involve intense negotiation. If you’ve been injured, you need the help of a trusted personal injury attorney. The team at Kearney, Freeman, Fogarty & Joshi can guide you through the process of your accident claim and help you build a strong case. From our office headquarters in Fairfax, we serve all of Northern Virginia, as well as Washington, D.C. and suburban Maryland. To ask questions or learn more about your case, contact us by starting a live online chat on our website.